Welcome to the third edition of our new bi-weekly feature Upfront Mini Bytes. In Upfront Mini Bytes we will provide eight tasty bits of genealogy news that will help give you a deeper byte into your family history research. Each item is short and sweet. 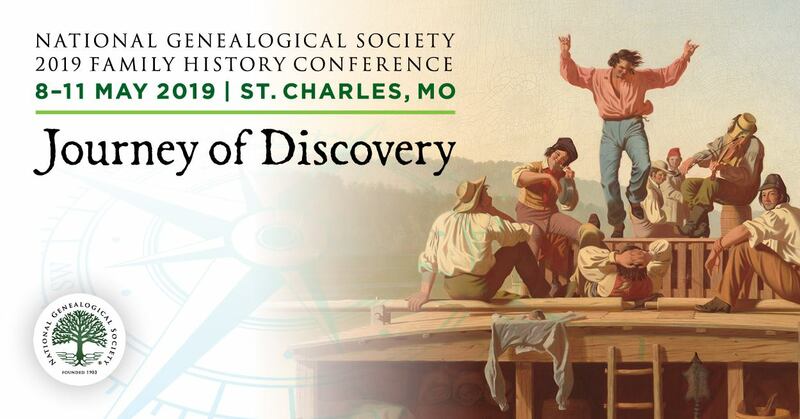 We encourage you to check out the links to articles, blog posts, resources, and anything genealogical! We hope you found the first edition and second edition helpful. Surnames disappearing? Not something I had really considered and, apparently in the UK (and I’m sure also in the US), there are surnames found in historic records that are not found now. I would’ve thought that we have “gained” more surnames over time. Once again, I would have been wrong. Read the article It's Goodbye Mr Clegg and Mr Chips: Just some of 200,000 surnames now extinct to learn more. Editor’s Note: When talking with my husband about this, I realized that my own maiden name has disappeared with this generation. My father had daughters and he was the only son of an only son of an emigrant who changed his name. Hence the surname I grew up is now no longer a surname in the US – at least not one with the same Finnish roots. The Bureau of Land Management, General Land Office Records database now has a NEW Mapping feature for Land Documents. You can now search for land documents using a map interface instead of filling out search criteria. Look for the "Search Documents By Location" tab on the Search page. Also, for land patent and survey details, there is a map that allows you to plot where each description is located. Unfortunately, many of us have experienced or been impacted by water-damaged photographs. In my family, decades ago, a leaking roof resulted in the destruction of an entire collection of photographs (which were then thrown out ... sigh). More recently, those impacted by Sandy or other recent storms have been challenged to “recover” photographs and other items damaged by rain and/or flooding. Check out this guide produced by Flip-Pal Mobile Scanner, Rescuing Water Damaged Photos. Just because records are now found freely available on a website like FamilySearch or some other interface, this doesn’t mean that they will remain available in perpetuity! We’ve seen newspapers move from providing freely available archives to making content available for a price. Well, the article Cook County Images Disappear From FamilySearch.org tells us that even content currently freely available on FamilySearch will not necessarily remain so. Personal digital archiving is critical to genealogy and family history researchers. Though this is a serious subject, it doesn’t mean that it always has to be serious! Check out this silly survey from the Library of Congress, Personal Digital Archiving: How Well Do You Score? Silly it may be but the issues it raises are really important to consider! Researching Prince Edward Island (P.E.I.) Canada ancestry? If so, do check out this new resource -- P.E.I. legislative history goes online (article) and database link. The site provides access to the full text of the Journals of the Legislative Assembly of Prince Edward Island starting from the 32nd General Assembly of Prince Edward Island in March 1894 to the present day. DNA News -- More options and cheaper prices for DNA testing! Ancestry.com has now opened its DNA testing to US non-Ancestry.com members. And, FamilyTree DNA has unveiled a $39 Y-DNA 12 test.